Bird spiders are commonly known as tarantulas, a name worthy to talk about, but in fact given to the wolf spider Lycosa tarantula, which is not a bird spider.  They belong to the family of the Theraphosidae. The story goes bird spiders sometimes add a bird to their diet. This, however, is not related to the reality, but based on the famous picture of Maria Sibylla Merian from 1705 in which you can see a big spider eating a bird. After many years of disbelief, the hypotheses of the existence of very large spiders was confirmed in 1863 since when tarantulas got their negative connotation, but in fact you might say birds are more a danger to tarantulas than they are a possible meal. Bird spiders are invertebrates, in which is only being said they have no skeleton. Their skin need to be hard and strong in order to survive extreme conditions while the internal skin provides the ability to attach muscles. Alternation of soft parts (cuticula) and hard parts (chitine) in the skin makes them able to move, which means they are arthropods as well (read more about anatomy). As the skin is not growing on itself, tarantulas need to molt to be able to grow. Many hours in their lifetimes are being spent on their backs or hanging on their webs to swap clothes, being very vulnerable to everything that passes by. We can’t say they’re not dangerous to humans, but deadly they are not. Spiders from other families, as for example Atrax species, sometimes possess much stronger venom that can kill people. However, spiders always form a threat towards humans, if not respected properly. The (in general) individualistic lifestyle of the spiders must be respected any time, even by enthousiasts. Ongoing provocation can end up in a bombardement of urticating hairs or a bite, depending on the spiders first defensive mechanism. 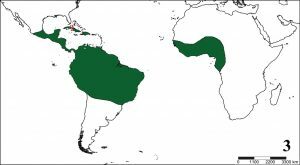 Bird spiders with urticating hairs, located in the “new world“, are supposed to possess weaker venom than the ones without urticating hairs, located in the “old world“, elsewhere than North-, Central- or South-America. A bite from those spiders can result in hospitalization. Except for Poecilotheria spp. however, there is no scienitific evidence to prove these statements. If you’d like to start with the hobby, inform yourself. Education and knowledge about the species you’re dealing with is the best defense. With the information above we can already advise you to start with a bird spider from the new world, such as Brachypelma or Grammostola. These genera are considered to be more docile with bites as painful as a sting of a bumble bee, but always keep in mind that the exception makes the rule. In total there are more than 960 bird spiders known, divided in around 130 genera. Noteworthy is the fact that only a few species live in Europe (more information). Below is a list of the genera, subdivided according genus. * Sometimes spiders are threatened with extinction and listed in the red list. * We manually change the list. Last modification March 2017.